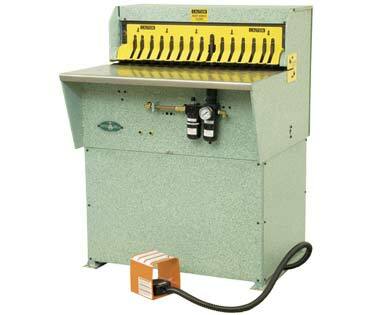 Introduced in 2003, the Roto-Die Open-End Cleat Bender is versatile and efficient, handling sheet metal up to 20 gauge x 30 inches. Equipped with wide jaws and adjustable cleats, the Cleat Bender is pneumatically operated at 90 PSI and runs at up to 50 strokes per minute. The open-end design enables the formation of L-shaped ducts. 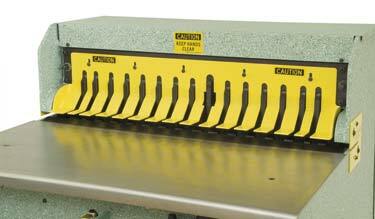 Our cleat bender can be quickly adjusted, and is easy to operate, which helps prevent downtime and boost productivity. Factory support is available nationwide for local service. Technical assistance is also available to assist you in obtaining the best production from your machine. Worn or broken springs impact the performance of your Roto-Die. 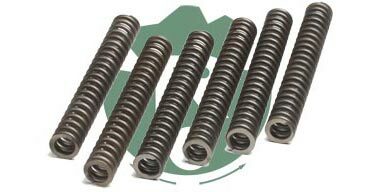 Typical symptoms of worn springs are uneven ram pressure and / or a ram which is slow to return. If it's been over 5 years since your springs were replaced, you're probably overdue. The recommended replacement schedule is three years of normal use and two years of heavy duty use. Replacement is relatively straight-forward with no special tools required.